No more doubts about hacker and virus threat, overall less operating expenses for an effective NVR solution. Combine storage center, (video capture card,) network server, and software all in the one unit. 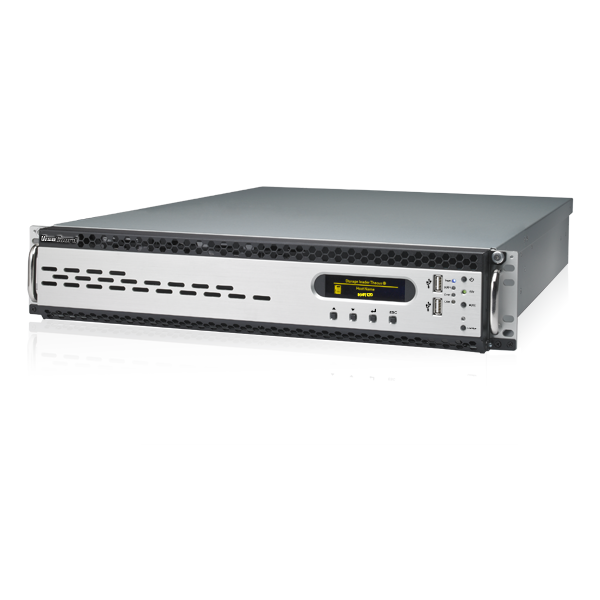 Thecus® VisoGuard NVR are ready-to-go right out of the box: just create RAID, install NVR plug-in, and your NVR is up and running in less than 30 minutes. Camera Setup Cloning lets you save more time by using the same settings for different cameras with one click of a button. It support H.264, MPEG-4, MJPEG and Motion-PEG formats. "Dual-Stream Video Analytics" will auto record the videos in a most suitable format. Supports AVI, JPEG or SAFE file format for exporting. SAFE file is a non-manipulable file which includes a player: Video + Player = SAFE. And this player includes e.g. 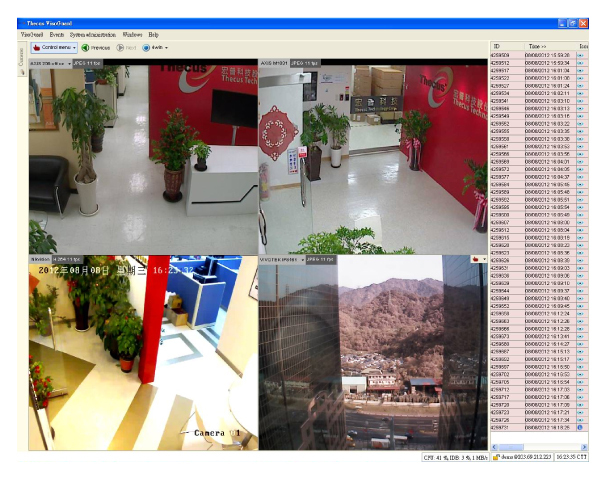 known features from the online monitor or archive player such as digital PTZ, displaying iCAT visuals,… And furthermore, multiple camera streams can be exported into one SAFE file. "Dynamic Viewport" offers viewing everything at once with drag and drop functionality across multiple screens. Each screen is capable of displaying multiple camera views, full screen, or both. Motion detection functionality gives you the ability to select a time frame during which motion detection will be activated. You can also limit motion detection to a portion of the viewing field in order to monitor specific items or areas, and record their surroundings when selected areas are activated.It supports multi Motion Detection per camera. Remote PTZ (pan/tilt/zoom) control allows you to adjust a camera's view angle and zoom, from monitoring stations anywhere around the world. Also, get more control of your cameras with adjustable aspect ratios, HDTV support, stretching and cropping of video, and advanced port control. Event alarms and detailed records work with motion detection and video analytics to keep you aware of everything that is happening. Alarms and records are easily configured, accessed, and navigated through an easy-to-use Event Management System. Video streams can be marked with advanced time stamps for powerful searching and analysis. Events can be prioritized to make your surveillance system react only to specific actions, creating fewer false alarms. It supports 3rd party integrated system via SNAP, I/O contacts and the new URL Command API, etc. 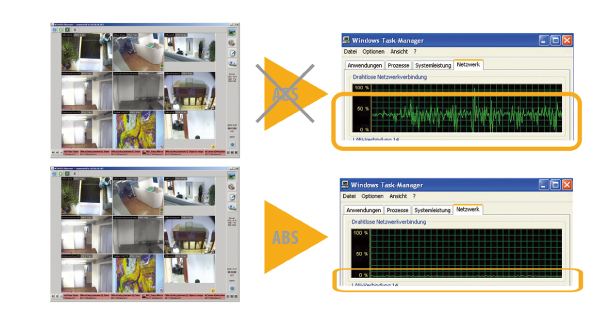 Video playback offers a convenient way to analysis recorded data. It allows 4 videos playing back at the same time. Ability to access the internet and implement remote access. The unique ABS (Adaptive Balanced Streaming) technology is capable of supporting megapixel cameras serving in limited bandwidth environments. The advanced technology produces high quality images even if bandwidth is low. The unique Smart Tripwire© technology prevents the duplicate and incorrect counting of objects. A Smart Tripwire© is directional and only counts objects that have been detected in the source area first and then moves across. The benefit is reducing error ratio of complex customer frequency monitoring from 20% to 5% compared to former systems despite complex shop architecture. It can be used as a Perimeter Protection in the meantime. iCAT has the ability to collect statistics for object counts, speeds and sizes, stopped objects and objects' stopping time. The following statistics can be visualized by intricate color overlays or normal video stream, via online monitor system and users can replay captured data. For each camera, a tracking region that is either in full camera view or part view - form of a polygon or rectangle can be defined. Object detection and tracking can also be restricted by object size, speed, and X/Y size ratio. iCAT could be programmed to detect removed and abandoned objects with possible constraints for stay duration and object sizes. Layout Navigation Tool (LNT) offers sophisticated navigation features for large systems. 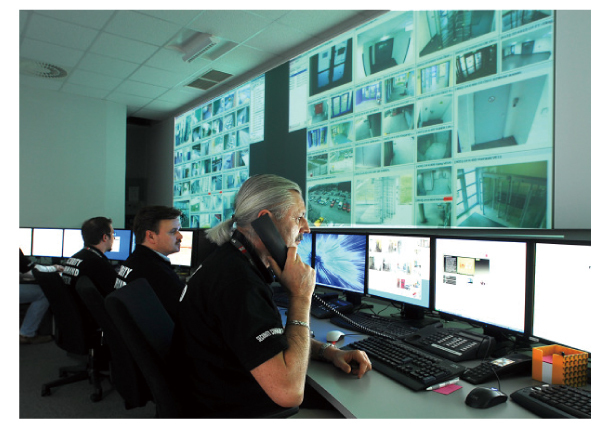 It is easy to set up hierarchical layouts as well as close integration with Thecus surveillance, therefore making it an ideal solution for larger installations. 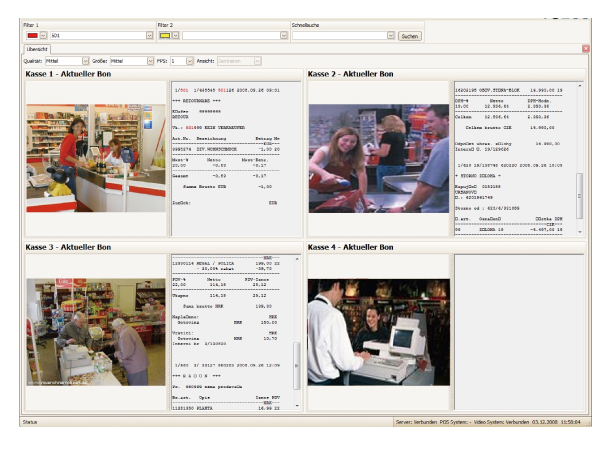 POS Monitor is an intelligent Windows based module for video monitoring of POS transactions. It enables the system to detect and reduce cashier-related mistakes, misunderstandings and even fraud. Flexible archive search tags like "discount,” "staff name" and video stream ensure a clear picture of the event. 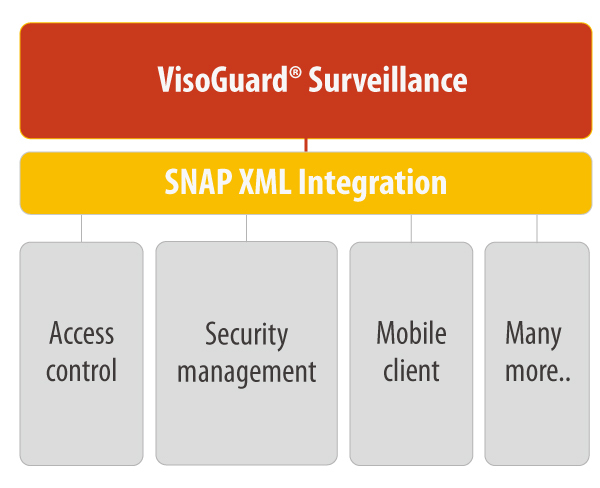 SNAP XML provides flexible basis for integrating all kinds of external systems and applications. Much integration is already available, new integrations can be carried out with minimal effort and cost. The ability to fully conceal sections of the screen. Detect misconduct if cameras are tampered with. Spot lighting change within camera view. Differentiate between system administrator or normal user. Handle up to 10x10 monitors and flexibly control views and layouts or maximize individual camera streams in any of them from a single client PC. It is also possible to work with multiple control consoles in parallel. The application is accessible via the URL http://server-ip-address/videowall in standard web browsers. 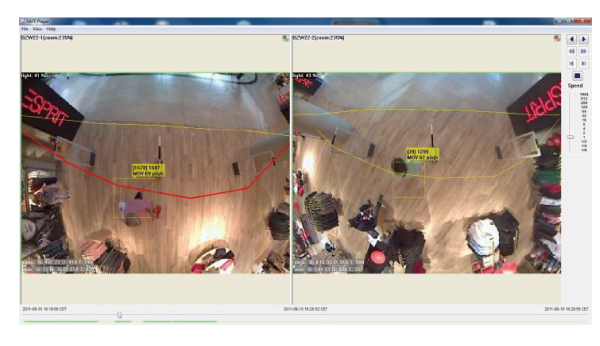 *iCAT video analytics is effective and works with all cameras. It provides user friendly set up and powerful object detection, tracking mechanisms and statistics module with integration to the event management system. iCAT offers a wide range of flexibility, grants usage in difficult situations with various camera perspectives. Utilities include: object and people tracking/counting, detection of removed and abandoned objects and more. Distinct from traditional video analytic solutions, Thecus® VisoGuard® NVR all-in-one solution offers flawless surveillance and demonstrates outstanding results in its sector. 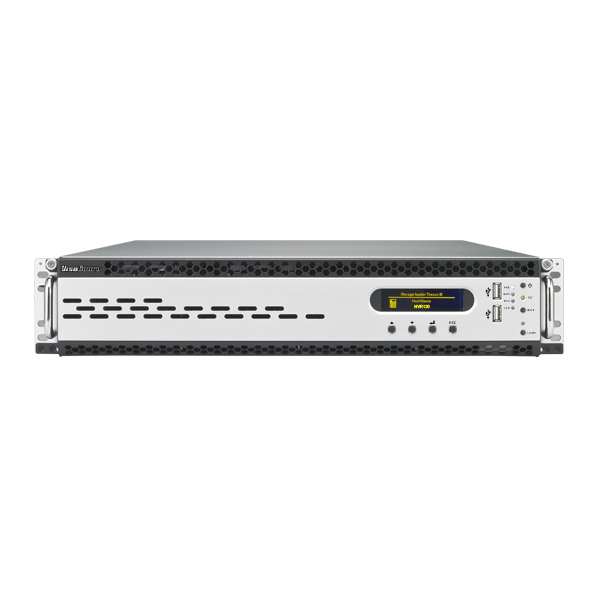 Thecus® NVR solutions are actually multiple devices in one: a network video recorder, a real-time monitoring system, and a networked storage unit. 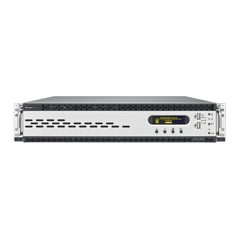 Available in desktop and rackmount form factors, businesses have the flexibility to choose the configuration they require to meet their specific needs. Each Thecus® NVR device has the ability to work with multiple cameras at once, enabling organizations to monitor multiple locations with a single system. In addition to this, Thecus®' new NVR solutions feature real-time monitoring and recording as well as support for multiple video file formats, ensuring maximum security and surveillance effectiveness. Being of Thecus® pedigree, the storage capabilities of Thecus® NVR solutions are naturally second-to-none. All units are equipped with multiple SATA hard disk bays, granting massive storage capacity to handle hours upon hours of professional-quality video footage. 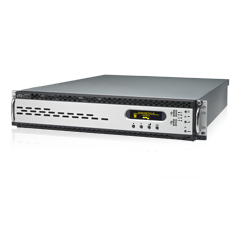 Selective RAID modes come standard, and help to safeguard stored video content at all times. And to provide users with the absolute best software interface available, Thecus® NVR solutions will come bundled with NETAVIS Observer surveillance software for an unbeatable combination of best-of-breed hardware and state-of-the-art software. * Note: Actual VisoGuard NVR function and performance are limited by hardware specifications. Higher hardware specifications on NVRs and Client PC's will result in improved performance.